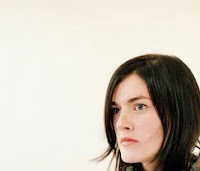 I believe Julianna Barwick may be a vessel dispatched from on high by something greater than us - God or the universal subconscious or Ancient Aliens or whatever floats your metaphysical boat. With her latest record, Nepenthe, she continues the subtle subtraction of variables from previous releases that change (quite fascinatingly) the mood of her sound infinitely. The Magic Place may have been human, almost whimsical. Nepenthe, though, feels like the language of the world itself, entirely independent of us. Ambient music, just inherently, is a kind of a self-absorbed style. Beatless and wordless, it excludes empathy and community and the sharing of the human experience. Instead, it’s transportive, with a sort of bubbling effect on the individual. People who think it’s best with drugs aren’t doing it right. It’s psychotropic all by itself. Still, with Nepenthe, I like to keep the headphones cranked at medium-high volume while walking around a crowded place - high enough to be enveloped, but not exclusively. The sounds of the world seep in and, occasionally, in the more climactic moments, are swamped out, in the most beautiful and inimitable ways. Music like this certainly isn’t a new idea. It’s been kicking around since the early 70’s. For me, the record most brought to mind German bizarros Popol Vuh, who’s faraway ambience was wrought with an unspoken spirituality. I’m not saying Barwick is like a missionary or something, but it’s this kind of music, like breathtaking views of scenery too impossibly beautiful to understand in scientific terms, that kind of makes you wonder, you know, about the beyond. I like my music to inspire thought.